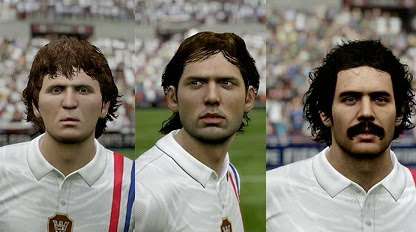 Fifa 15 has the interesting ability to play with athletes of the past like Pele, Rivelino, Zico and Taffarel. The classic players are divided between the team of legends of the game, and the Ultimate Team mode in rare and valuable cards. Check out the tutorial on how to play with these superstars. Step 1: First of all, you must make sure that your game is up to date. Go to the "Customize" tab and select "Edit Teams". Step 2: Now click on "Download Updates" to download the latest updates, including the team of legends of the game, which will only be available after that. Step 3: Now select the "Kick-Off" mode to get a match. Step 4: Go to the league "Rest of the World" (Rest of World) and search for Classic XI. This team will only be available for offline modes, and online Friendlies. Step 5: In the Escalation screen, you can check out some of the biggest names in football history as Zico, Cantona, Carlos Alberto and Sanchez. Step 6: A list stars do not stop there. In the list of reserves, are hidden other international idols like Milla, Abedi Pele, Leonardo and goalkeeper Taffarel. They can easily be used to create another team. For fans of the Ultimate Team mode, you can still check out another great list of important names in the sport. They are available in packs of cards, but can also be found selling in the game market, for astronomical sums. The highlight is Pelé, King of Soccer, which has very few units for sale, and passes the home of 10 million coins. Latest football fans can also find the recently retired superstars like Figo, Van der Sar, Nedved and Brazilian Roberto Carlos, famous for his powerful kick. The values are also high, but some may be more accessible, and certainly are beautiful additions to any team's game.